Alibaba Business School will be holding the "2018 Alibaba Global Course - Malaysia", held jointly with MYSTARTR on September 14th, 2018. Aimed at facilitating the uptake of Malaysian companies in participating in the development and practice of cross-border e-commerce, it also offers participants the opportunity to experience and learn more about the latest trends in e-commerce regionally and beyond. 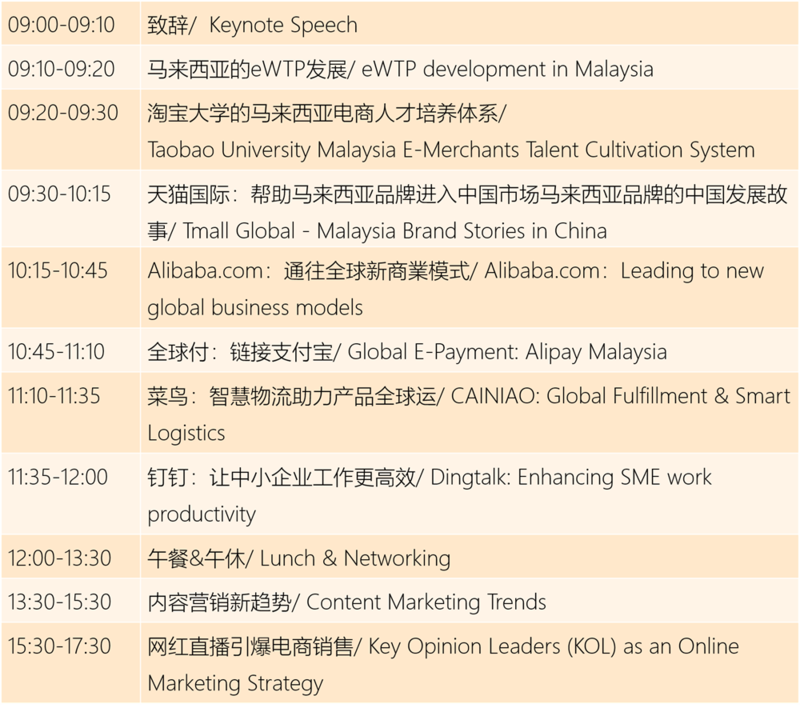 Key leaders from Alibaba Business units and online marketing experts will be invited to share insights of Alibaba's platform ecosystem and the development of e-commerce in Malaysia. Also on the programme are the latest developments in network marketing and strategic sharing, so as to better prepare local Malaysian brands, SMEs and entrepreneurs to accelerate their growth, enhance their competitiveness in the digital economy, and get involved in global trade.